Fabulous!! Love it so much! This page is so cool! Right into my favs! This is so creative, awesome job! This is incredible!! Just love those fun ribbons!! Such a pretty page!! 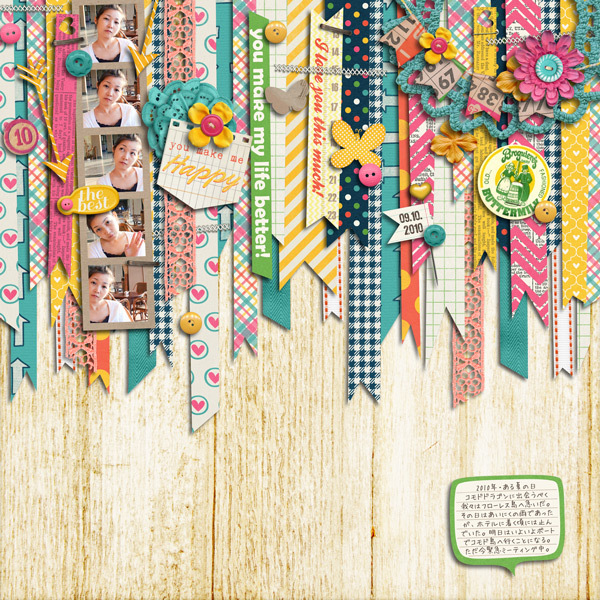 So cute, love this with all of the strips, totally going to have to scraplift this one!